With so many different ways to prepare this green veggie, it's no wonder asparagus has made such a great name for itself in the culinary world! 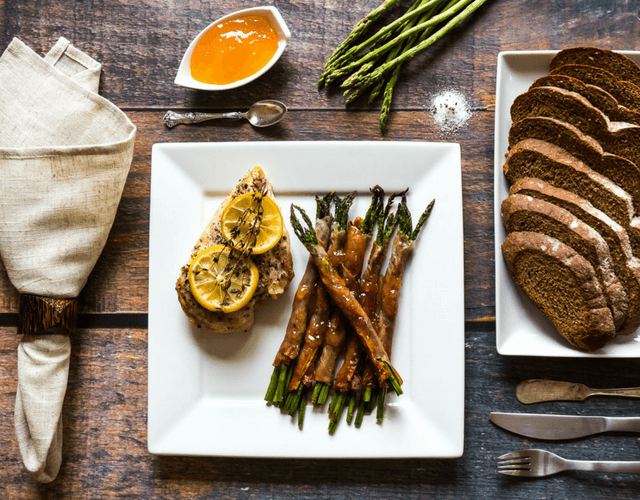 Asparagus is easy to prep, takes only minutes to cook, and can be prepared in so many ways – roasted, boiled, steamed, broiled, in soup, breaded and fried, and grilled! Summertime is quickly on it's way, so we're firing up the grill and filling our plates with healthy vegetables all season long. To prepare asparagus, rinse well and holding the stalk in one hand and the whitish woody portion in your other hand, bend one stalk of asparagus until it snaps. This indicates where the woody portion ends and the flavorful stalk begins. Use this piece of asparagus as a guide to trim all of your other asparagus stalks! 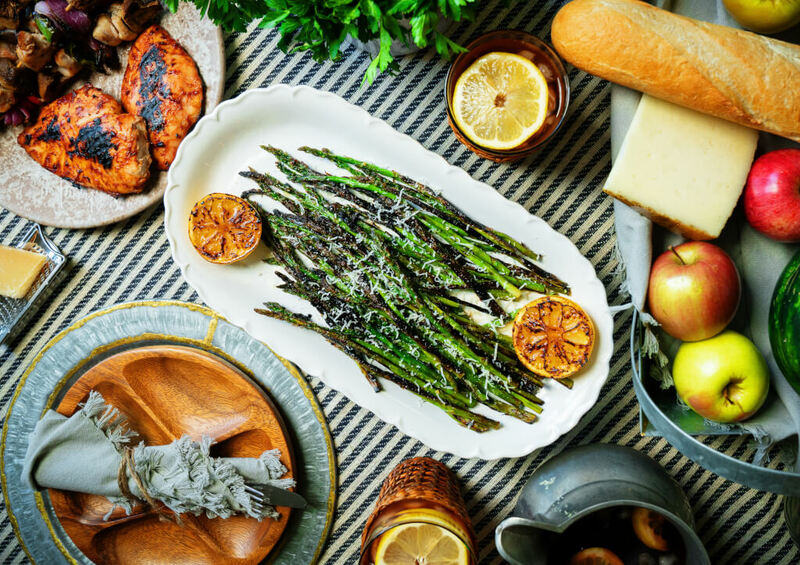 For our latest asparagus recipe, we used asparagus from Harvest Sensations – one of the largest U.S. suppliers of quality asparagus! They look for the farms that offer the richest soil for growing these perfect spears of health. Grown in Mexico and Peru, their asparagus can be trusted for consistency and safety, and as stated before, asparagus is always a healthy option for you and your loved ones. 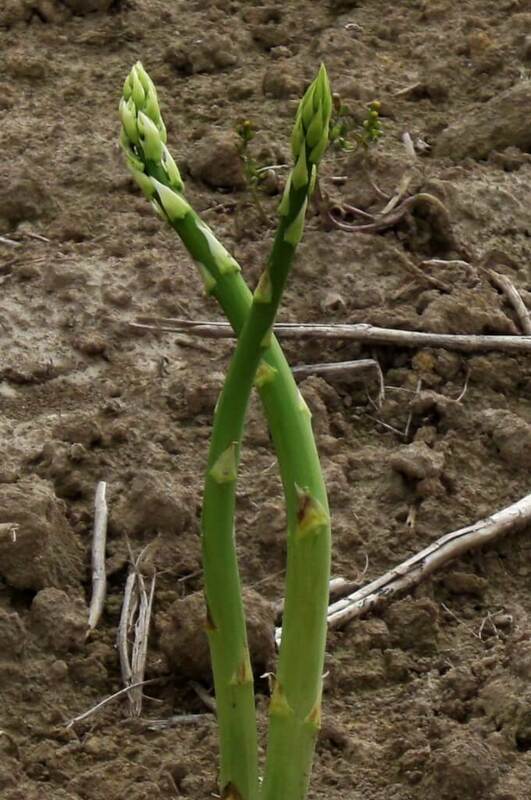 Did you know that when grown on the farm, asparagus shoots straight up from the ground, like this? Isn't that fascinating? They look like little trees! 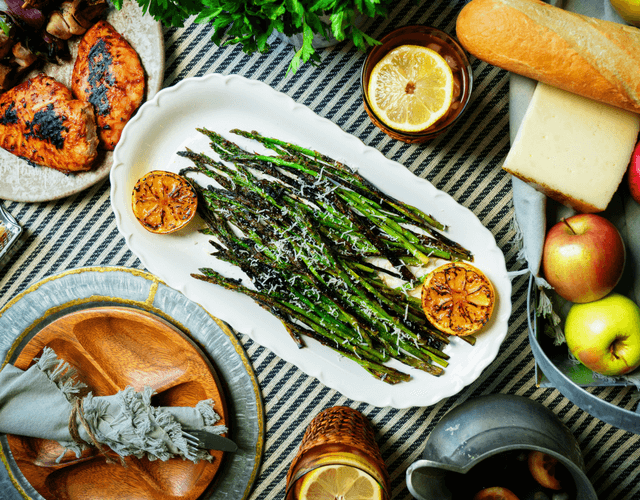 For more info on asparagus head to the A-Z Food Guide and try this delicious Grilled Asparagus with Lemon & Parmesan recipe. Enjoy in good health!